QUEST CAPITAL TRUSTEES IS AN INDEPENDENTLY OWNED FINANCIAL SERVICES COMPANY PROVIDING SELF-ADMINISTERED PENSION STRUCTURES TO CLIENTS THROUGH A NATIONWIDE NETWORK OF ACCOUNTANTS, TAX CONSULTANTS, BROKERS AND INVESTMENT ADVISORS. A day will come along where you’ll want to slow down and enjoy your older age – take up a hobby, spend more time with family, travelling or simply just taking it easy. The age you become entitled to the State pension has already increased to 67 & moves to 68 years by 2028, the State pension also only provides you with income somewhere around 35% of the average industrial wage. Therefore we all need to plan for our retirement, we all need to put some money away now to be able to provide ourselves a reasonable standard of living when we stop working. – the opportunity for a tax free lump sum of up to €200,000 when you draw your benefits. At Quest we offer a range of self-invested pension products (pre and post retirement) that allows you create an investment portfolio specifically designed for you and that also offers clients investment control, transparency, security and cost control. 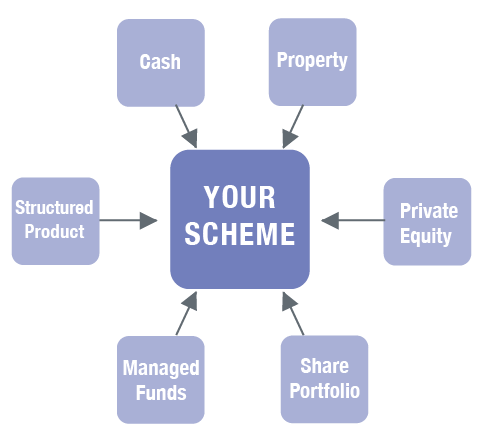 An investment structure that allows you make investments best suited to your circumstances. A structure that also benefits from very generous tax reliefs; income tax relief on personal contributions, corporation tax relief on employer contributions, tax free growth on investments (no Income Tax or Capital Gains Tax) & can give you a tax free lump sum at the end. An investment structure that allows you transfer funds from old or winding up employer pensions and make investments best suited to your circumstances. A structure that also benefits from very generous tax reliefs; tax free growth on investments (no Income Tax or Capital Gains Tax) & can give you a tax free lump sum at the end. Where you place the remainder of your SAPS or PRB after you have drawn your tax free lump sum. An ARF and AMRF is your ‘port retirement structure’, it also benefits from tax free growth on investments (no Income Tax or Capital Gains Tax), and is established to provide you with a regular income from the retirement fund you previously built up. Quest Capital Nominees Ltd offer nominee services for EIIS schemes and structured property deals that require a nominee for the likes of holding security on an asset. We can provide a range of professional supports to the trustees of group pensions – advisory, appointment and administration. FROM DAY ONE IN 2007 WHEN WE SET UP QUEST WE DECIDED TO DIFFERENTIATE OURSELVES BY PROVIDING A HANDS ON, PERSONALISED SERVICE TO OUR CLIENTS AND THEIR ADVISORS. EXCEPTIONAL SERVICE IS PART OF OUR EVERYDAY GOAL. Keep up to date with changes in legislation, planning ideas and budget summary with our latest updates. Your contact details and all information submitted above will be treated as strictly private and confidential. They will only be used for internal Quest use.